This a cosplay prop replica of the Wayward Wind Keyblade from the Kingdom Hearts video game series. The value of an artist when it comes to inspiring others is determined by the message. The quote on the piece is said by a character from the Kingdom Hearts video game series. The message reflects my own goals in life, my dream of being part of the video game industry as a programmer can only be achieved by acting. I could not reach that dream if I did not practice programming, because it is much like learning a language. This piece was to resemble a graffiti look to bring empathize on the quote. This project was the product of 2 weeks of hard work. This was a daunting project, because I have never done anything similar to this. The prop is model after the Kingdom Key from one of my favorite video game series, Kingdom Hearts. The Kingdom Key is a very simple design, but also is more advanced than it seems especially with using cardboard. The main frame was created from layers of cardboard for sturdiness, with an extra 4 around the handle to simulate the difference in thickness between the blade and guard. The key chain attached to the bottom was made from rolled aluminum foil to simulate the metal links that the actual blade has attached. This project was hands down my favorite because of the different skills required to bring the piece together as an accurate prop. This project was a good way to explore a technique that I have only done once before. I used a charcoal box, and wood burning different designs into the sides. The designs them self came from a video game I play called Monster Hunter. The top design is the symbol for the character's faction, the hunter's guild. While the ones on the side are the icons for the different weapon types found within the game. Overall I think I did really well with the wood burning. I was able to get really fine detail with the wood burning, and was able to have a relatively clean burn. This project was a very good experience outside my comfort zone. I have never worked with clay or a similar substance before. During this project I also stepped outside my comfort zone on 2-D art as well, using more drawing and sketching than the geometrics I prefer. My clay relief was based on a monster from one of my favorite game series Monster Hunter. 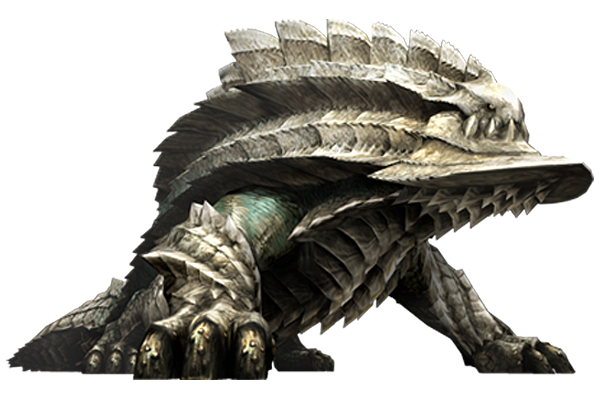 The Ukanlos lives in extreme arctic environments far from any civilization. My pieces reflect my personal likes, and style. I am very fond of geometric shapes, and patterns, also art that has more than one image to look at in a single canvas. These geometric shapes were achieved with the straight edges that were given by tape. Once colored over with charcoal, it gave me shapes that I could work with. I wanted to create a piece that would depend on the viewer as to what they saw, and not my interpretation. My main goal was to create patterns that fit with the rest of the works I did. Overall I really like how it came out, because of the patterns. ​I really enjoyed working on this piece for many reasons. First, this character is from one of my favorite video game series, Final Fantasy. Second, this piece require a lot of precise pieces in order to complete the final one. Each of the "pixels" is made up of a 1 inch x 1 inch square of paper. This squares had to be arranged to create the character on the paper just like a computer would in the actual game. I extremely like tedious work like this because it very relaxing for me to make every last piece of the work exact. My original goal was to do more but, I was unable to because this one took up so much room on the paper. I wish the squares would have been a bit even when cut, but overall I like this work a lot. An experienced student of art classes. Not very talented with pure art styles, but enjoys Geo-metrics, and Geometric art.